Singer-songwriter Vic Chesnutt, 45, died Friday after overdosing on muscle relaxants earlier in the week, the New York Times reported. 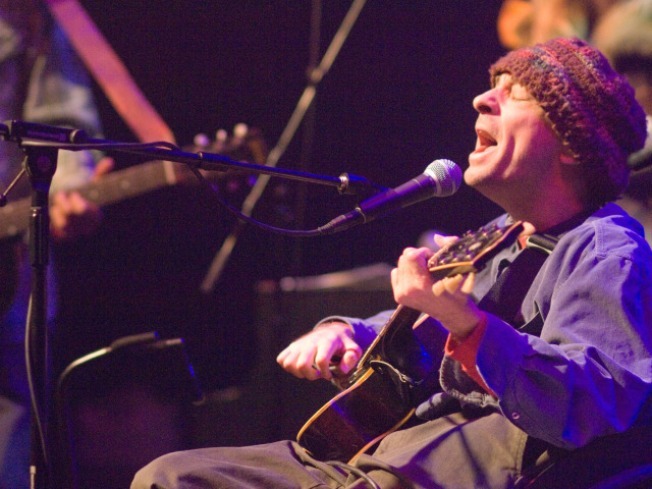 Singer-songwriter Vic Chesnutt, 45, died Friday in Athens, Ga., after overdosing on muscle relaxants earlier in the week, the New York Times reported. Chesnutt, who used a wheelchair since a car accident at age 18, "had a cracked, small voice but sang with disarming candor about a struggle for peace in a life filled with pain," the Times reported. The songwriter was a favorite of independent musicians, and made more than 15 albums. Madonna and R.E.M. were among the artists who performed Chesnutt songs for 1996's “Sweet Relief II: The Gravity of the Situation,” an album that benefited a nonprofit group that offers musicians medical support, the newspaper reported. Chesnutt had attempted suicide numerous times, even singing about it in his music.